Lock in a great price for The Posh Phayathai – rated 9 by recent guests! I liked the cleanliness and the comfort in the hostel. 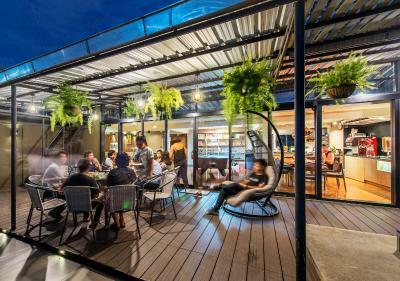 The rooftop is a lovely area to hang out and chill. The breakfast was delicious and the women helping at breakfast were very kind and helpful. 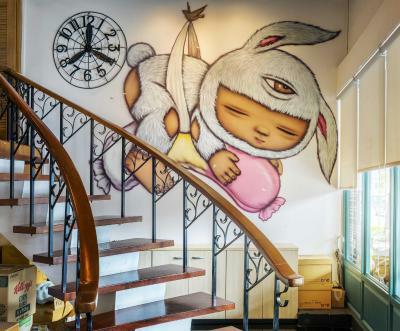 There is my favourite place to stay when i visit Bangkok. 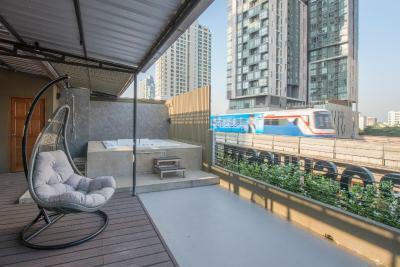 Very convenient as few steps from BTS-Phayathai or ARL. This is only place to provided all day snack at 5th floor (Sky Lounge). Great value for the double room we had. The breakfast was also great value. The location is great for MRT/BTS services, but it is a little far out from the main touristy spots (though It is very easy to get a tuk tuk to those places). I'd stay here again. 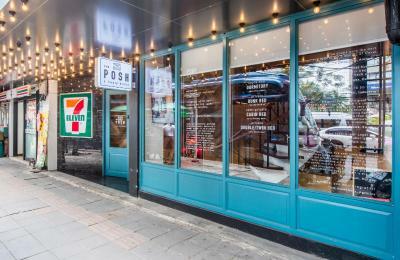 Good Location, very close to BTS Phayathai exit 2, hotel's located near good restaurant such as Tor Tom Tum noodle restaurant. Friendly staffs good and clearly information. Good location for transportation. 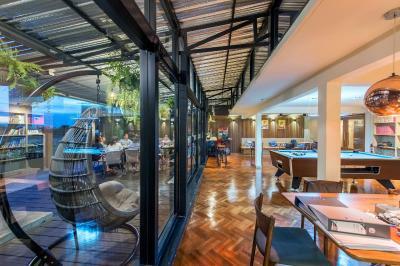 Location is perfect even the rainy day you can arrive hotel without umbrella because it’s just 15 meters away from the BTS phayathai exit 2. Hotel is popular many tourists stay here ,and toilet and bathroom are kept clean at any time. The single room with shared bathroom is a little bit different than I thought. It’s located in a big room ,and there are few single rooms and some beds in the same big room. Some single room are next to the road. If you easy to wake up by noisy, you had better to ask a place not next to the road. Traffic is busy 24 hrs in Bangkok. I accidentally messed up my booking and arrived only the morning after I had my booking for. The staff was extremely understanding, still allowed me to hang out for as long as I wanted (I had an overnight train trip that evening), served me breakfast and handed me towels for the shower. It's next to the train stop coming if you come from the main airport, and a short walk (by Bangkok standards) or grab ride will get you about everywhere. I booked a private room, which is located in the dorms (more like comfy capsules) behind its own locked door. There was also a locker under the bed that I didn’t expect but greatly appreciated. The location is extremely convenient for anyone heading to/from the airport. 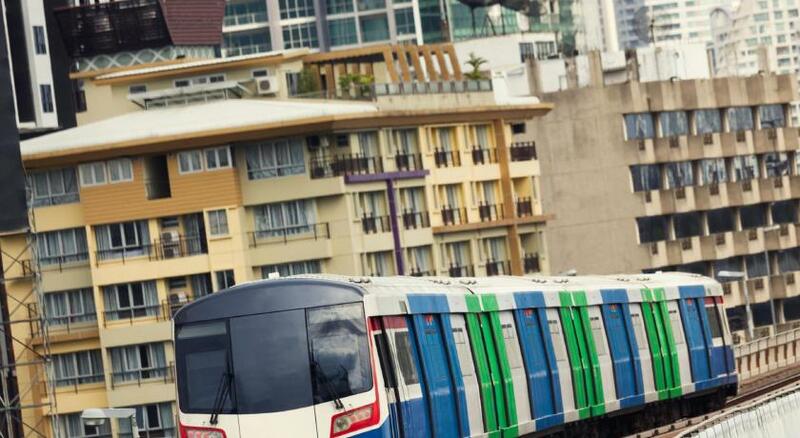 It is just a few yards away from the station where you can catch the direct Airport Link train. 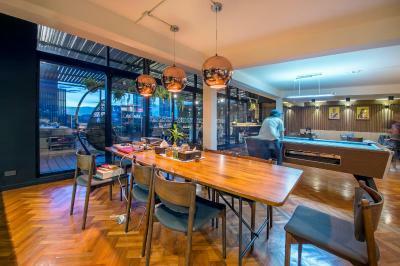 I chose this property because I only had one night in Bangkok before flying out to Cambodia. It was exactly what I needed. I have another night in Bangkok at the end of my trip and am happily staying at The POSH again. 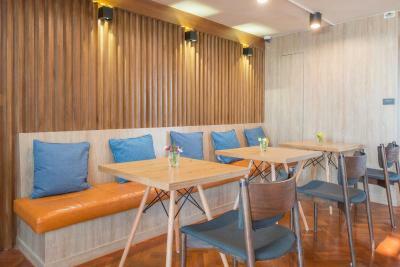 Simple breakfast and dinning area with coffee round the clock. Me and my friend tried this hostel for the first time and absolutely love this place. Very comfortable and close to all traffic transportation esp. BTS and airport rail link, the step is locate infront of the hostel's door. Bathroom is too big and biger than every hostel and also always clean. Bed with two pillows so comfy and love it. 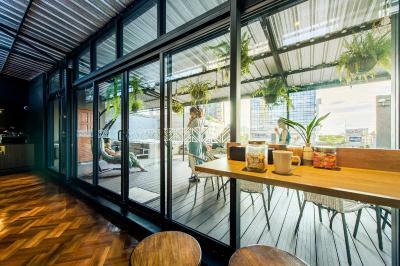 The common room+canteen is located at the rooftop of hostel I recommend nice view of Bangkok 360 degrees surrounding with all high building and free drinks and free snacks 24 hr. Very clean. Bed was comfortable. Location is great. One of our best sellers in Bangkok! 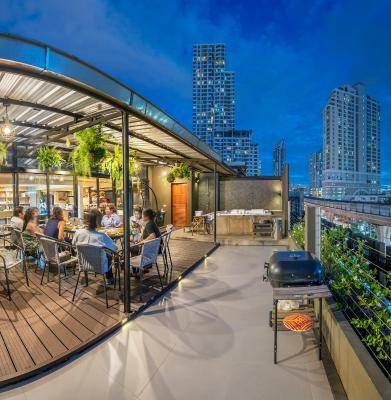 Featuring a terrace and free WiFi, The Posh Phayathai is located in Bangkok, a 15-minute walk from Bangkok Art & Culture Centre. 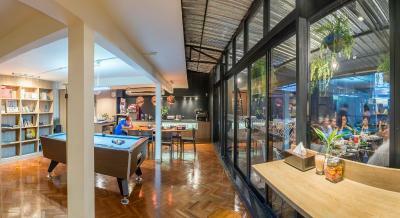 Around 0.9 miles from MBK Shopping Mall, the property is also close to Siam Paragon Mall. 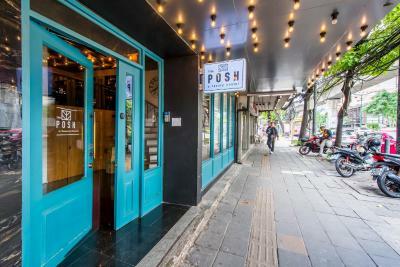 Local points of interest like SEA LIFE Bangkok Ocean World and The Jim Thompson House are reachable within one mile and 1.1 miles, respectively. 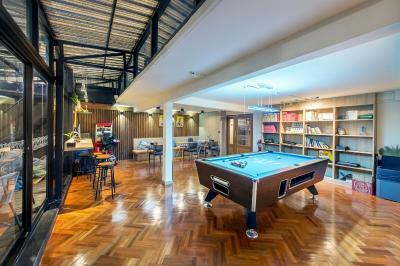 Guests at the hostel can enjoy a buffet or an American breakfast. 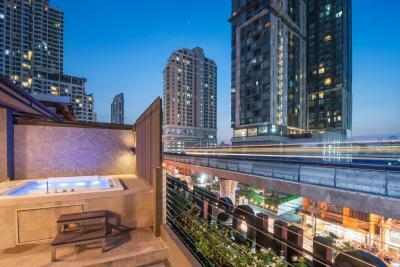 At The Posh Phayathai guests are welcome to use a hot tub. 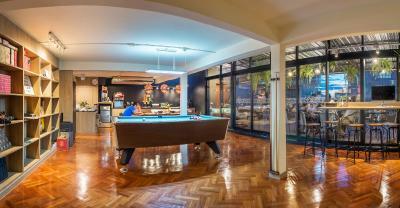 You can play pool at the accommodation. Staff at the reception can help around the clock with guidance on the area. 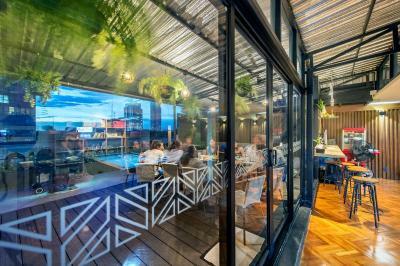 Central World Plaza is 1.1 miles from The Posh Phayathai, while Gaysorn Shopping Mall is 1.2 miles away. Don Muang Airport is 15 miles from the property. 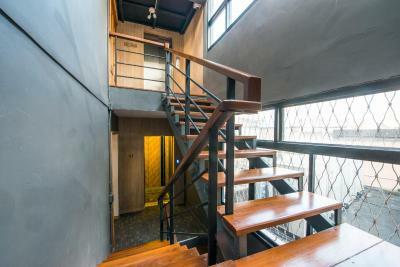 뀐 Located in the top-rated area in Bangkok, this property has an excellent location score of 9.5! 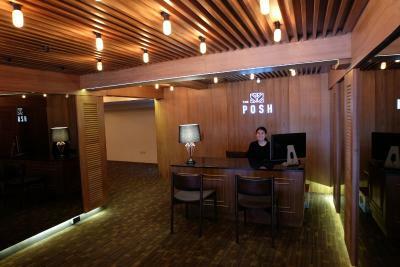 When would you like to stay at The Posh Phayathai? This family room has a sofa, cable TV and private entrance. This double room has air conditioning and private entrance. The private room comes with air conditioning. Guests have access to a shared bathroom and shower. Area Info – This neighborhood is a great choice for travelers interested in clothes shopping, shopping and food – Check location Excellent location – show map Guests loved walking around the neighborhood! 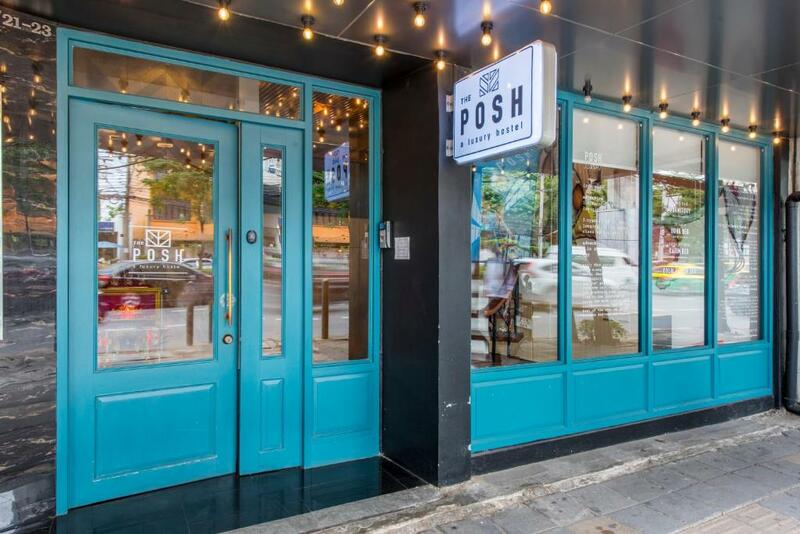 House Rules The Posh Phayathai takes special requests – add in the next step! The Posh Phayathai accepts these cards and reserves the right to temporarily hold an amount prior to arrival. Downtown. Nearby BTS. Convenience Store Nearby. Easy Check In. Clean Slate Bedrooms. Cozy place to chill on the rooftop. Free Drinks. Snooker. Very friendly staff. Check-in 24h open. Very clean and amazing beds with privacy. They have lockers big enough to fit a big backpack. The breakfast was good and the view amazing from the terrace! I will definitely book here again! The smell in the room and reception was weird and intense. The facilities were worn down. Even though the location was amazing it was too expensive for what it was. Enough space for your ownings next to your bed. Breakfast was good. clean rooms, all seems to be new. they have free coffee and drinks all the day. they location is good for one day stay but not longer. I wish they were able to provide more help with my bookings for train/bus for my further travels. Even further contacts for travel agents would have helped and saved me a lot of trouble. Need maintenance especially toilet amanity. Keycard must be replace as current one is dirty and malfunction. Was no problem to check in earlier after arriving with the night train. Of course only because the bed was already free. Already beforehand they confirmed that this could be possible and if it wouldn’t it was no problem to take a shower and have a coffee. Great service! Besides that the beds were very comfortable and the breakfast good. The common area was nice as well the roof terrace. Another huge advantage is that it’s well connected to the airport and takes only 26 minutes by metro. There was a crazy lady that despite booking an a/c room didn’t want to use it by 38 degrees outside. The staff provided her with an extra blanket and checked several times during the night if she didn’t turn it off. not cleanness of toilet and towels. loudly of door. Location is nearby public transportation and shop located around it. Breakfast is almost same every day. If there are more choices would be perfect.